Wintree City Resort Chiang Mai - Huay Kaew, Chiang Mai, Thailand - Great discounted rates! 8.7 out of 10 based on 304 verified user reviews via Agoda. 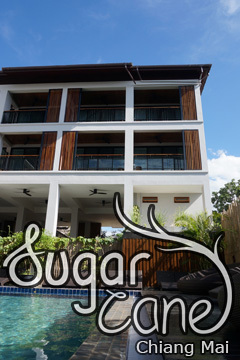 Wintree City Resort Chiang Mai is conveniently located in the popular Huay Kaew area. The property offers a wide range of amenities and perks to ensure you have a great time. Free Wi-Fi in all rooms, 24-hour room service, 24-hour security, daily housekeeping, ticket service are just some of the facilities on offer. All rooms are designed and decorated to make guests feel right at home, and some rooms come with flat screen television, additional toilet, cleaning products, clothes rack, complimentary instant coffee. Take a break from a long day and make use of the fitness center, golf course (within 3 km), outdoor pool, solarium, garden. Wintree City Resort Chiang Mai combines warm hospitality with a lovely ambiance to make your stay in Chiang Mai unforgettable. Wintree City Resort Chiang Mai - Chiang Mai classifies itself as a 4 star hotel.